GCSE English Literature – what would your play be: written in the style of Shakespeare! Ecc A Level 2017 Economics Excel: Macro, Micro overview & where the case studies fit in ..
2017 English Literature A Level – History of English Drama. ALL TERMLY TUTEES are allowed to text or phone for advice when at Uni or College! They also have a reference available. WE COLOUR CODE NOTES! Obviously this blog is not to be accessed during exams! Eng Lit. Find an Extract and make your own Q and Mark Scheme! They last until the end of June Here's to Lucky and Easy Questions Revise Lots! 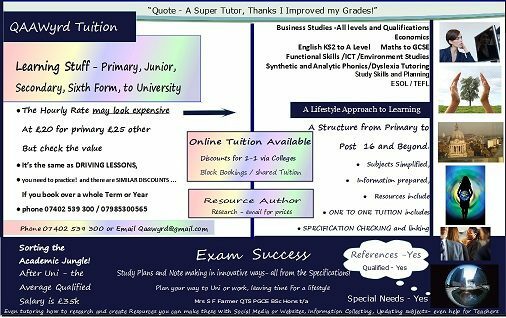 see TutorHunt and First Tutors online for tuition information.